100% preshrunk cotton basic white short-sleeve tee with ribbed collar. 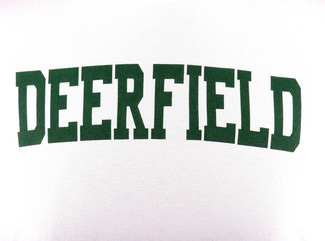 DEERFIELD screen-printed in green on chest. 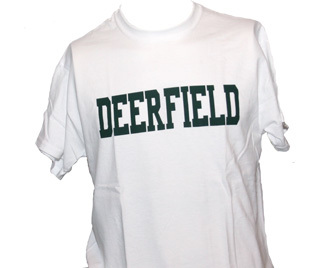 Unisex adult sizing XS-XXL.